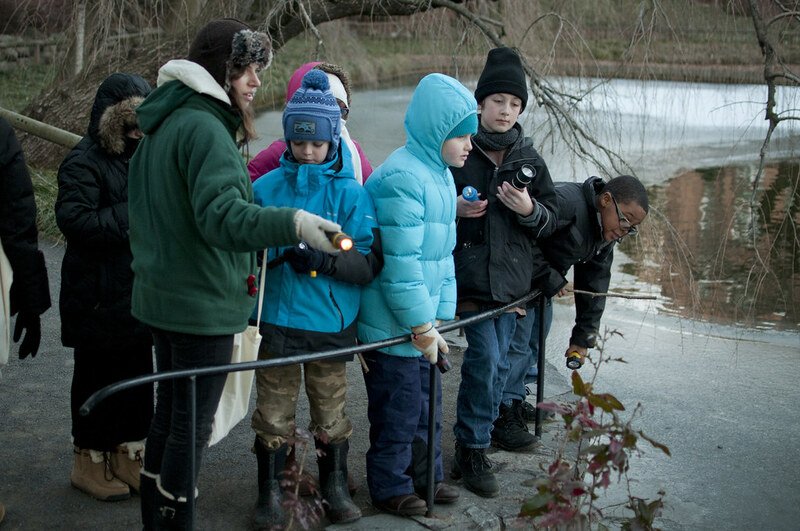 Sundays, January 5, 19; February 9, 2014 | 2:30–3:30 p.m.
Venture out without your grown-ups to discover the amazing things plants and animals do to survive in winter. Visit plants with built-in winter coats and antifreeze; discover amazing bark, leaves, and buds that protect winter trees; and search for the hideouts of ladybugs, fish, squirrels, and birds. Free with Garden admission. For updates on program cancellations due to inclement weather, call 718-623-7200, x7801. Tweens go on a Garden adventure. Photo by Mike Ratliff.